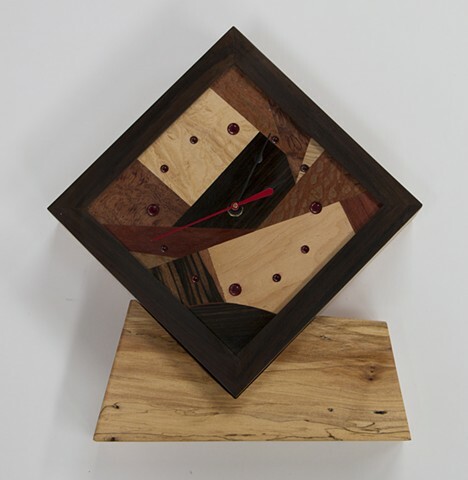 I have made several clocks that have an abstract design on the clock face made from a variety of veneers. Zebra wood is used for the box sides on several, and curly maple on another. The clock can be set into a base of spalted maple for use on a horizontal surface, or the clock itself can be hung on a wall. The clock movement is battery operated. 8.5" x 8.5" x 2.25"